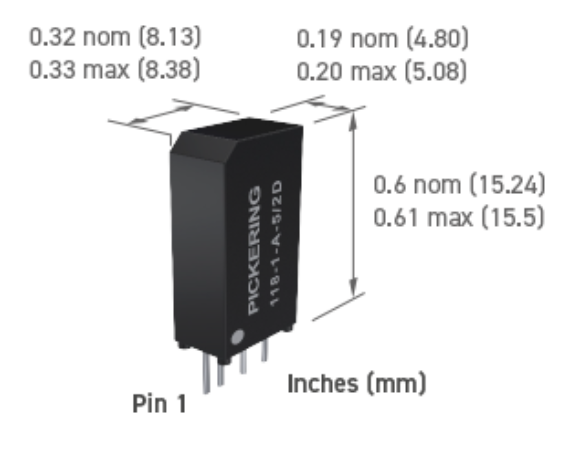 All Pickering reed relays feature the highest quality instrumentation grade reed switches making them suitable for the most demanding test and measurement applications. Internal mu-metal magnetic screens (optional on Series 103) allow very high packing density. Diodes are optional in most reed relays. 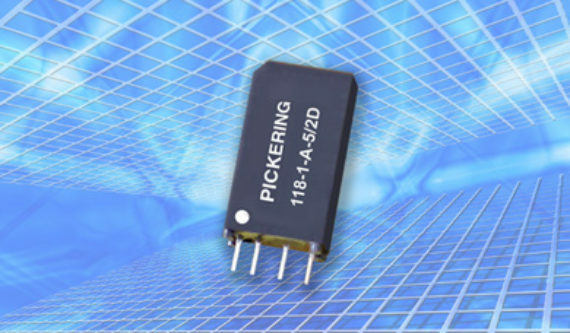 The Pickering Series 118 is a range of very sensitive reed relays that are ideal for portable electronic instruments or other test applications where low power consumption and a very small footprint is important. The reed relays have 5 volt coils with a resistance up to 2200 Ohms and the option of an internal diode. Two reed switch types are available. Switch type number 1 is better suited for general purpose applications, while Switch type number 2 is better suited to low levels.